Cross-promote your book with other indie writers. This is one of the most popular author tips for the simple reason that it works. Offering to honestly review other people’s books, and ask them to review your book in return. You can also invite other writers to become a guest blogger for your website in exchange for the opportunity to write for their website, with a link back to yours. Consider buying a ‘co-op ad’ in a major publishing or writing magazine. This is a cost-effective way to get a full-color advertisement of your book into renowned national publications, as you share the cost with other authors. For this strategy to be effective, you have to share promotional and advertising events with other indie authors whose books complement yours. 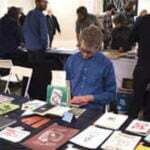 Try setting up a book reading or signing event with other independent authors. Not only is this more economical—it also lets you take advantage of each other’s readership and contacts. Sharing events with other authors is an excellent book promotion method that generates more interest among readers and venues. 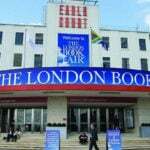 Sign up with a book promotion company that can showcase your book in leading publishing fairs alongside the works of other authors. This is another affordable way to put your book in front of librarians, buyers, and publishers. The costs are surprisingly reasonable because you are sharing space with other authors. It’s a great way to create buzz around your title. Follow other authors on social media and don’t hesitate to reach out. This is another one of those classic author tips with a high success rate. Post intelligent replies or comments to their posts to get noticed. Social media networking can open doors to opportunities you might not have come across otherwise. Make sure to avoid things like auto-DMs on Twitter, though. Remember that social media is still a social interaction, and etiquette is still important. Open a Pinterest board with fellow authors. Shared boards are not only perfect for collaborating with other writers so you can see their inspiration—it also allows you to expand your audience. Their followers can see the files, photos, and content you pin on the boards you share. Promote your book by pinning your cover design with a link to your website.